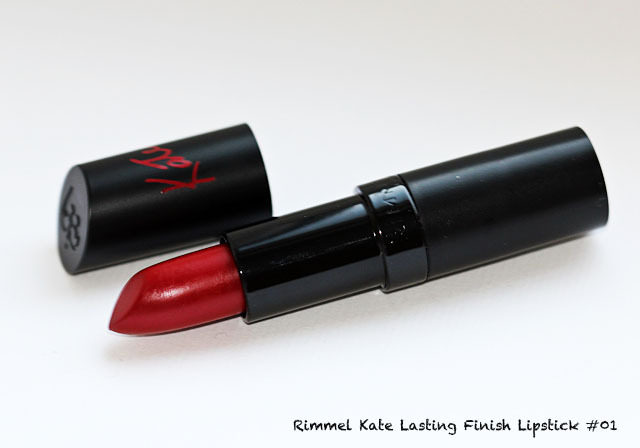 I’ve got some small nice present from one of my old readers and occasional guest contributors — this was Rimmel Kate Lasting Finish Lipstick in bold red. 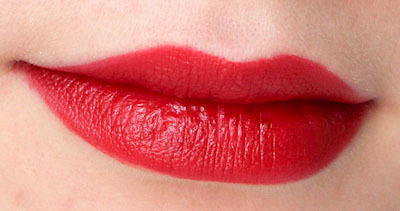 Availability: in UK can be found in Boots, Supredrug or search at rimmellondon.com. Price: 5.49 GBP (UK) for 4 gr. 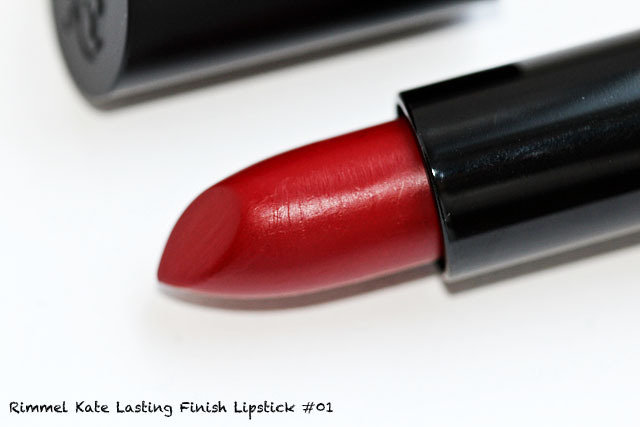 Final Thoughts: I was pleasantly impressed with both quality, look and packaging of this lipstick. Rich creamy texture, delicate shiny finish (but no shimmer), not drying, applied easily. Kate Moss signiture packaging also looks good. And red color #01 is perfect! I wasn’t really expecting that level of quality from drugstore product. I’m not a snob, I’m using all kinds of product. But I’m red lipstick manial and look only for perfect. Which I rarely find between drugstore brand. So now I can advise it with pleasure. Please, read my review in Russian for maximum details on the product. 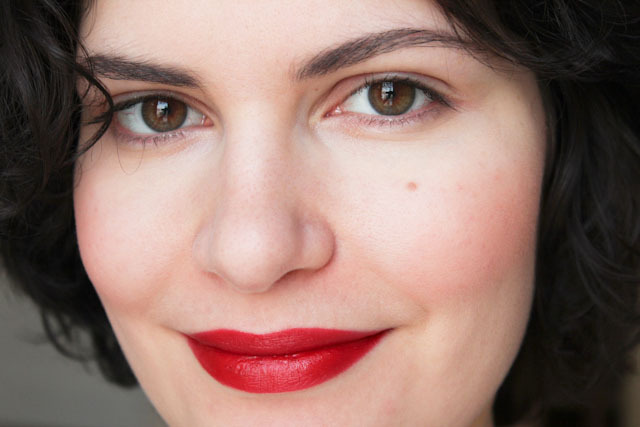 Shade #01 — is a classic red that doesn’t goes into blue or orange undertones. No shimmer, little wet shine in finish, good coverage. 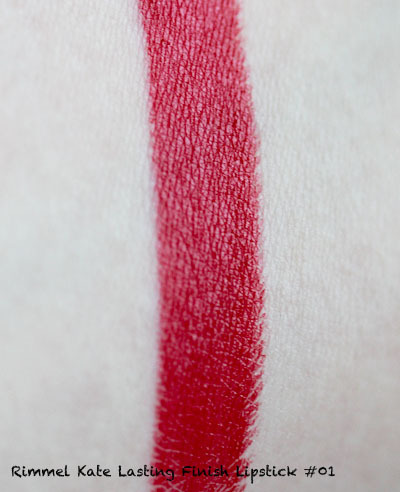 The color may be somehow similar to Clinique Read-Y to Wear. I usually apply it from the stick itself with the help of lipstick to define the edges. I haven’t used any lip pencil here.